Hey trace-masters, High Dynamic Range rendering is here! Performing tonemapping operation to map HDR images to LDR (Low Dynamic Range), so that their approximate appearances can be shown on non-HDR screens. 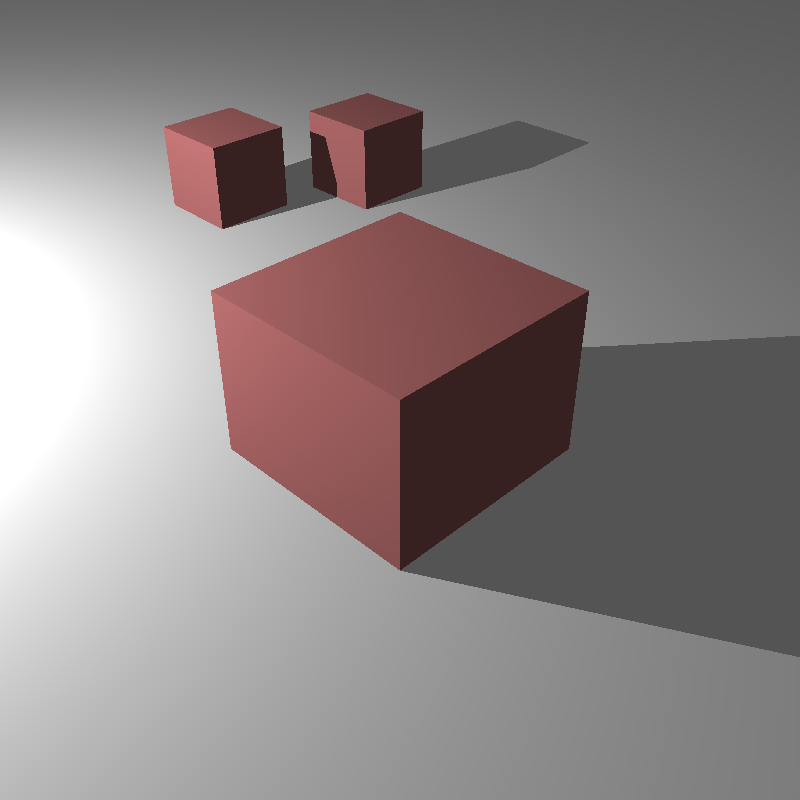 Directional light does not have a position, but a fixed direction and radiance value defined to be used at any place inside the scene. 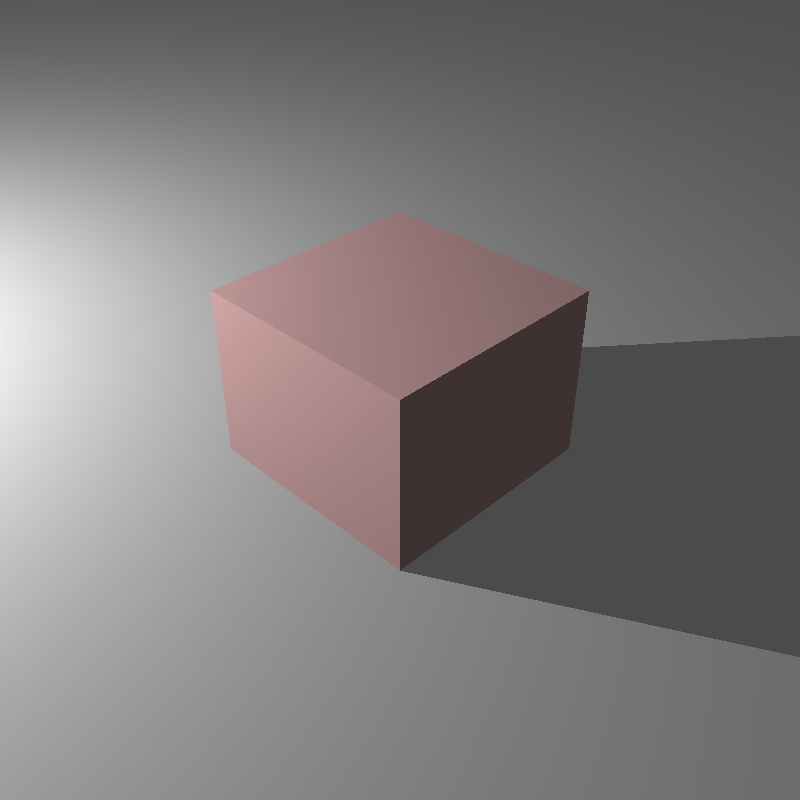 When light calculations are being done during ray tracing process, the radiance value of the light is used without any attenuation; and shadow ray directions are calculated by simply negating the direction value of the light. 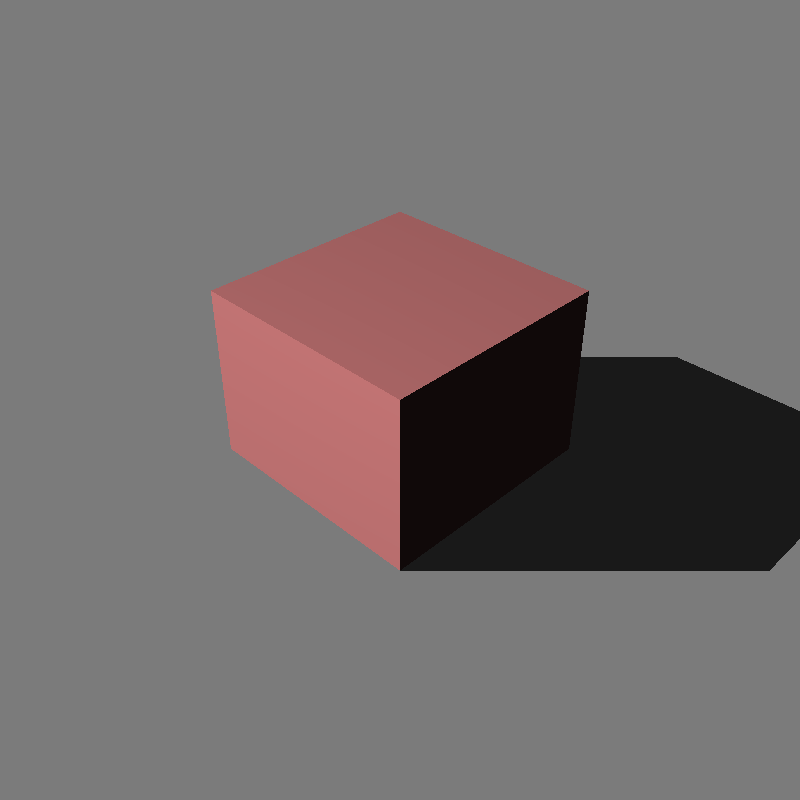 1 cube, scaled to x2. Further ones are not scaled. 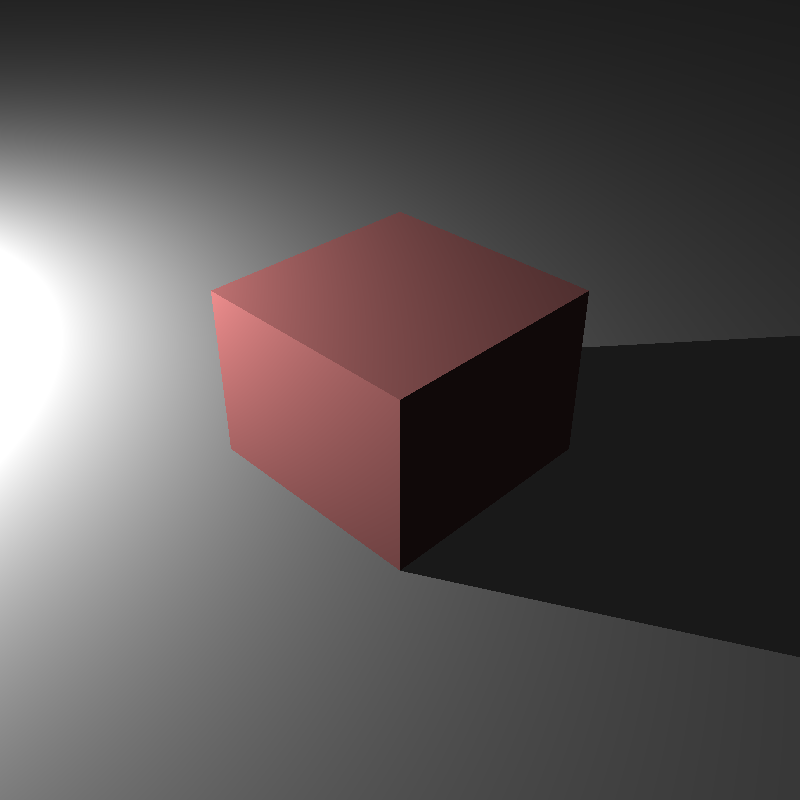 Spot light have CoverageAngle and FalloffAngle values defined in addition to position, direction and intensity values. 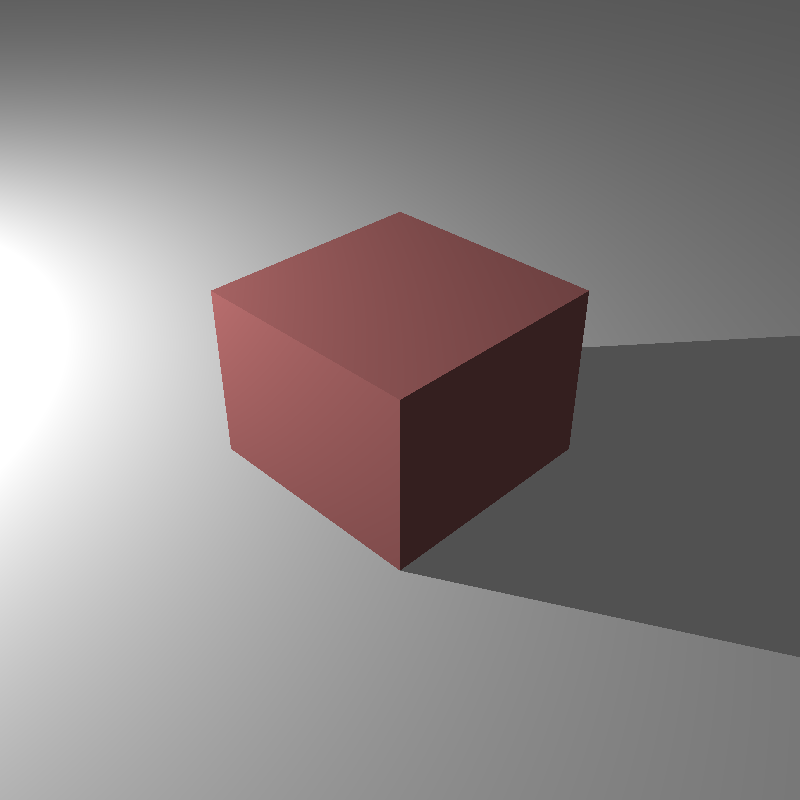 CoverageAngle defines the angle in which the area under it will be lit. 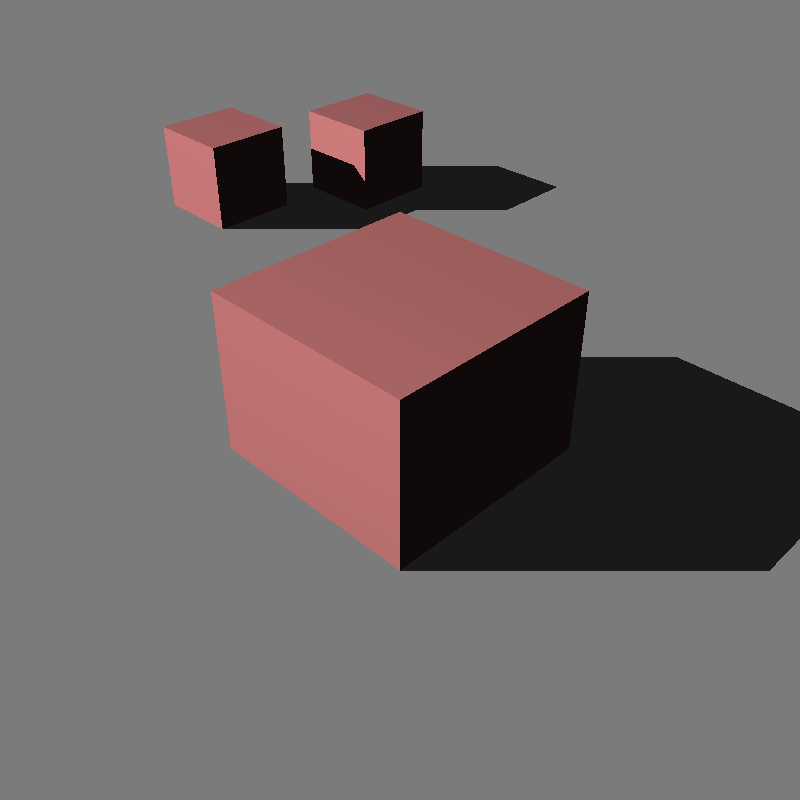 FalloffAngle defines the angle after which the intensity of the light starts to decrease in a non-linear fashion until CoverageAngle is reached. That non-linear decrease provides a nice transition between the area lit and the area unlit. 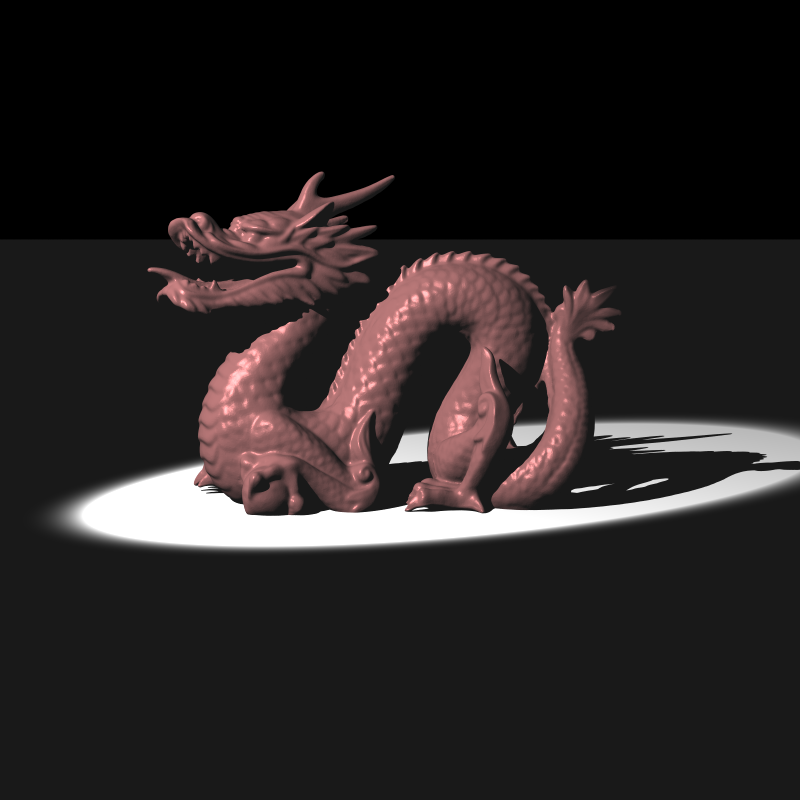 In the previous version of my raytracer, I was clamping the total color value to 0-255 interval to be able to output the final image in .png format. 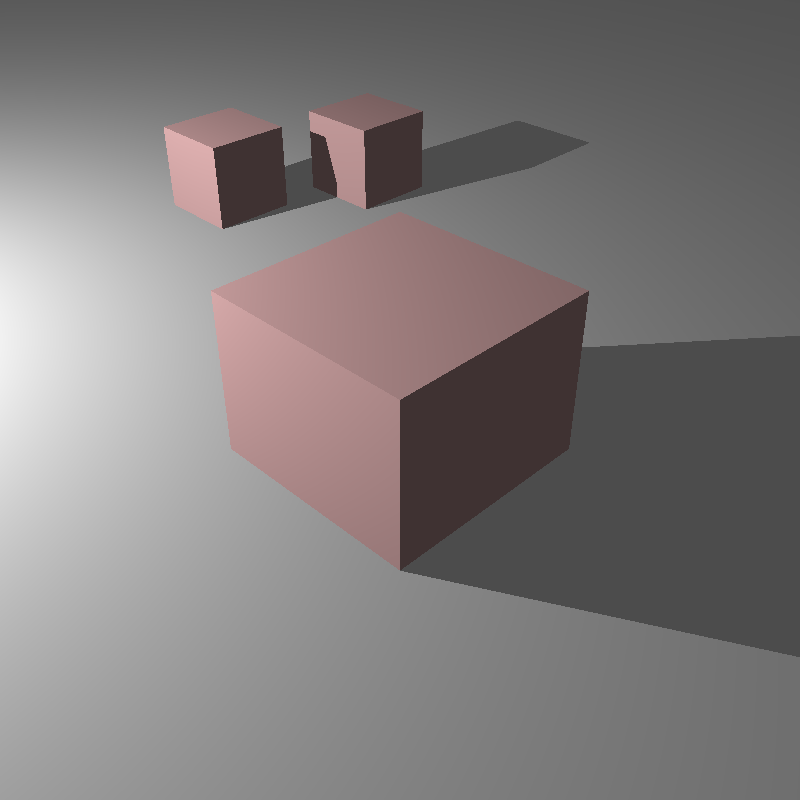 Just by deleting these clamping codes, my raytracer were ready to output in .exr format. I have used the tinyexr library to be able to output in .exr format. 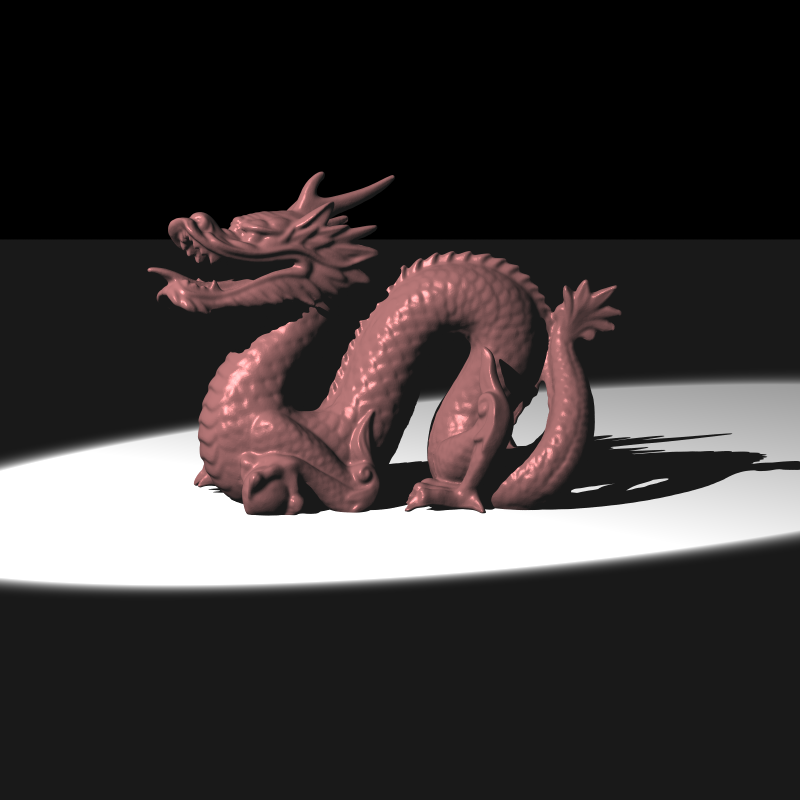 Then I have used exrdisplay tool to visualize that rendered HDR image. 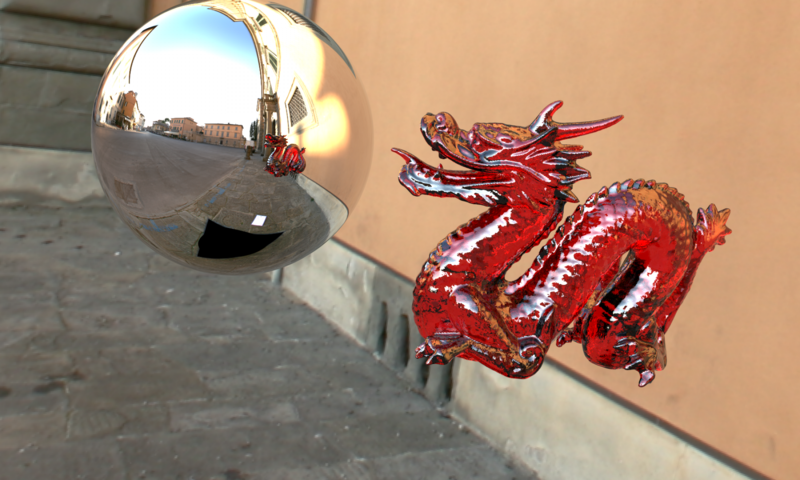 We have used Photographic tonemapping operator to map HDR output to LDR 0-255 .png file. I have implemented the operations explained both in the lecture and in the paper to produce the LDR output.